You may remember Daniel Lieberman from such books as “Born to Run”, a book that many a runner (including myself) put down and immediately vowed to eat only turnips and run barefoot. That book was responsible for the sale of millions of pairs of latex foot gloves at £100+ a go. Leiberman is an evolutionary biologist which means his area of study is about “why” humans are the way they are. What events happen and what adaptions we made such that now, 4.5bn years on from when the Earth was formed (or about 6000 years depending on what books you read) why humans seem to fair well at survival. Now it is silly to suggest that somehow humans are at the top of some sort of evolutionary order (if you measure success by the amount of biomass a species occupies on earth then ants win by some margin). However what is clear that over the past few million years where humans speciated from common ancestors share with chimps and other apes “we” have adapted to life on earth in a way that is fairly unique. We live longer, have low infant mortality, spend relatively small amounts of the day ensuring we have enough calories and are unique in the animal kingdom in having offspring that are completely helpless until the age of about 18 years. The main drive of the book is that while there were an number of things that we evolved to adapt to certain climate and food situations (such as bipedalism, larger brains, longer child weaning times, hands and so forth) that the change in our situations over the past 13000 has developed far faster than our bodies can adapt. We adapted to the dwindling forests over millions of years by walking out on the plains. We adapted to warming and cooling by very gradually growing hair and losing hair. However there have been two changes over the past 13000 years that have changed human lives too fast for our genes to “keep up”. The first is the agricultural revolution of around 13k years ago and the second was the industrial revolution around 200 years ago. Humans as well as all life on earth usually have to play a balancing act between getting enough calories out of the earth and then investing effort into reproduction. You can’t spend all time eating and then reproduce but then you can not reproduce and pay the heavy costs of child rearing without energy. This is a trade off that generally keeps animals on the edge of existence, keeps their bodies lean and mean and specialized in whatever environment they are currently in and to deal with whatever predators and prey are around. Human hunter gatherers were estimated to run/walk around 15k per day in pursuit of this energy that allowed them to invest in reproduction however the invention of farming changed the foods we ate and reduced the energy issue. Farming was still an intense physical activity and so we still burned a lot but the insecurity around food was reduced massively as we started to eat more grains and roots. Up until 200 years ago to survive you still had to work pretty hard. That changed during the industrial revolution where labour intensive tasks were replaced by machines and now in 2013 we end up doing most of our work at a computer, burning very few calories at all. So here we are, a product of evolution that survived ice ages and deforestation but now has too much food and does too little work. The result of these are what Lieberman describes as “mismatch diseases”, not typical infectious diseases that we risk in nature but ones that are common now due to us spending so much more time sitting around and having an adundance of food. He argues that many diseases are not inevitable sign of aging (hunter gatherers lived long lives too) but the way we live now. Cancers, diabetes, heart problems and mental health problems can all be explained to some extent by the massively different life we live now vs 200 years ago and 13000 years ago. It is not a suggestion that we should all go back to the stone age and eat worms, lick rocks and wear vibrams but it is a great account of just what our bodies were designed for and what we are using (or misusing) them for nowadays. There are a number of other books I would recommend that give an interesting account of the human body. Waterlogged as well as being an epic rant at the sports drink industry contains a lot of good stuff. I would also recommend reading "Anti-fragile" - not at all focused on running or the body but it gave me a different way of thinking about medicine and food. But part of me kind of hopes for an apocalypse situation where maybe the seas rise or the forests dwindle. At that point only those who can adapt the best will be able to survive. I doubt those are the same people watching Dance Factor or getting on an elevator and pressing 1. He experimented and found the answers to these which make great reading. However the best bits are where he looks at the endurance capabilities of humans and experiments on himself. Humans are endurance animals. This theory has been presented well in other books (Survival of the Fittest and Born to Run). We make lousy sprinters (Usain Bolt would lose a 100m race to most 4-legged mammals including rabbits). Our ability to go long and persistence hunt is what makes us unique in the animal kingdom. We have abilities to dissipate heat so that we can run in deserts rather than merely plod like camels. Bernd then puts his running shoes back on and starts training hard for races, running a 2.22 marathon and breaking the US 100k record in the process. He trained hard and experiemented based on what he learned from nature rather than running wisdom. My favourite experiment was where he left cans of beer on his long runs to pick up and drink. Was certainly a question Drew and I were asking at 2.45am on Sunday morning while the rest of London was asleep in total darkness. We could just go back to bed and get up at a normal time, head over to the London Marathon and cheer along the carnival, possibly via McDonalds and then just drink the afternoon away. Seemed like a perfect way to spend a sunny Sunday. However our plan was different, we were up in the middle of the night to head over to Big Ben for 4am to meet Robin Harvie; author of Why We Run, to then run the London Marathon route in reverse. Why? Drew and I set out, along the canal where even the geese were asleep and then on down a lively Edgeware Road that was still alive and the smell of shisha and the aura of mocking washed over us. We arrived at Big Ben around 3.45 and waited for the clock to strike 4 to head off on our meander back to Greenwich Park. There were 7 of us in total. Myself, Drew, Mark, Rob, Alex, Hugh and Robin. The first few miles along the embankment were fairly easy going though and all the mile markers were already out there. Felt odd running through 25, then 24, then 23 etc. It was already quite warm and the weather reports promised a warm and sunny marathon later on. Rob and Mark were setting a faster pace in front and the rest of us were happy to be plodding along at 4 hour marathon pace. 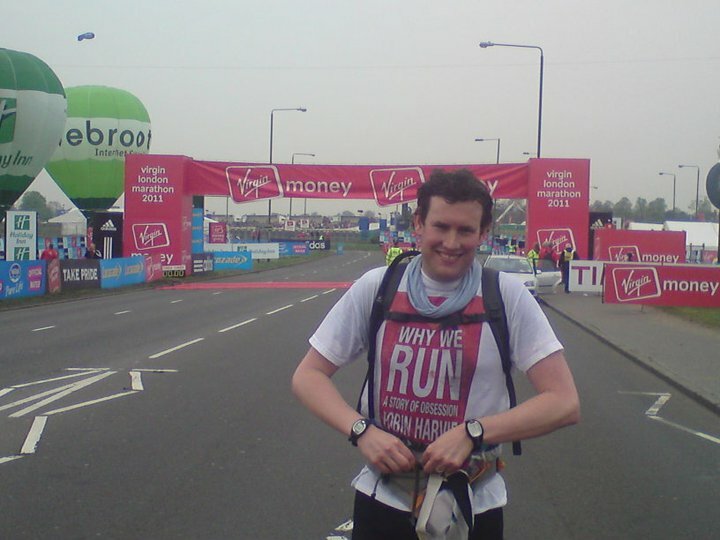 I got a chance to chat to Robin about running and his book and future running plans as we counted down the miles. It would be easy to compare this book to Feet in the Clouds and since I am a big fan of making things easy I think I will. There are a a few similarities. Both are very well written and are from the point of view of a "normal" runner, not a super-athlete. Both detail an obsession with a brutally hard endurance event. Both stories are told alongside the histories of those who have done the same before them. The key difference here was that the obsession was much closer to home for me. It was about the Spartathlon. There is a great account of the ancient olympics and some of the history of great endurance runners. This fits in perfectly with his accounts on training, his own motivations as to why he should take on something like the Spartathlon and his quest to discover why we run. I thoroughly recommend reading his account. 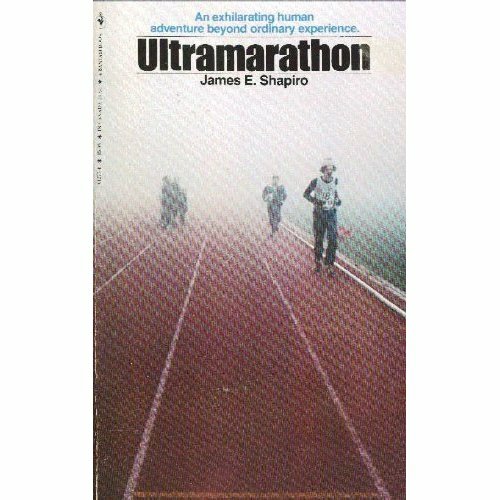 Any of you obsessed with an endurance event (and I am guessing if you are here you will be) then this book is well worth reading. So, back to the run. Why am I doing this again? I continued to chat to Robin about the Spartathlon and said it was great that the race was getting some recognition as being the toughest race out there. All those I know who have done this and the other so called toughest (you know what they are) agree that running from Athens to Sparta in 36 hours agree that this is on top. His recent article in the Telegraph is a great read. Poplar high street and Canary Wharf were very quiet at 5am, in just a few hours they will be overwhelmed with loud and colourful support. 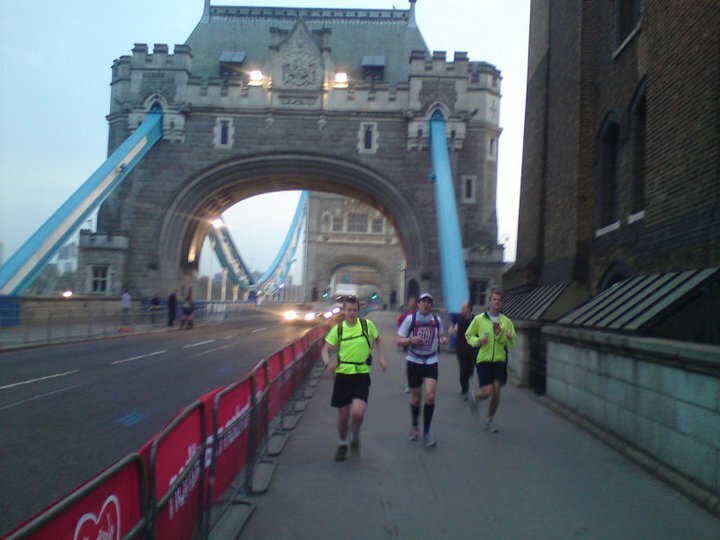 Day started to break around 5.30 and from 6 at the halfway point on the Tower Bridge there were signs of life as people in high-vis jackets started to build the huge event that is the London Marathon. Over the bridge and into Bermondsey it felt odd to be running a course that I had done 4 times before through a city that I have lived in for 7 years and finding that I just did not recognise any of it. This part of the route is fairly residential and quiet at 7am. As we approached Greenwich the roads were being closed, the water stations loaded and masses of marshalls were assembling. I felt quite good until arond the half marathon point. It has been a long time since I have ran this distance, not since my operation and it showed a bit. I also can't remember the last time I ran this much on roads, it was probably the Spartathlon last year. All of my races this year have been off road. I am not too worried though about having to run 45 miles on a road each day for 70 days. My "plan" for the US would be to run at about the pace we were running here, about 9 minute miles but add lots of walking breaks in there so to finish 45 miles in around 10 hours. I think not having had any sleep the night before made it harder too. I lost count of the number of people who shouted "you are going the wrong way". We saw a guy coming the other way who was doing the marathon 5 times. Not sure how he planned on doing that as he would have ended up at the end when it started. There seemed to be some significant climbs heading into Greenwich which probably explains why people go so fast at the start going down them. By now the water stations were fully functional and waiting for the race to start in a couple of hours time. It's amazing just what in event this is. Unlike other events this closes down one of the worlds biggest cities to stage this event. It is awesome to see just how many lorries full of water, energy drink, fences, cones etc are needed to make every single miles of this race. Glad I was not running the other way though. We got more of the "you are going the wrong way" remarks as we left the starting area to leave. I spent the afternoon handing out water at the 20 mile water station. I was tired and though it does not sound like it handing out water is quite exhausting. I've done it a few times and trying to stay focussed while zombified runners stagger over and take water or miss you completely. It is great to be involved in this race. I take the piss out of it quite a lot but I wished I was there running. 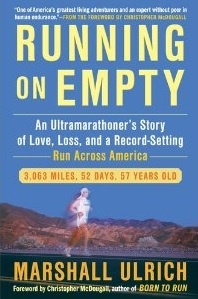 There are may great books out there suggesting that we are "Born to Run". Meaning that running is something that we have evolved to do (and evolved out of doing - having read a lot of Dawkins I know that my use of the word "evolve" is pretty sloppy here). Some of my favourites; Survival of the Fittest demonstrates humans ability to endure physical activity such as running long distance especially in the heat. Why We Run is my favourite and shows how Humans really are endurance kings in the animal world and the famous Born to Run further shouts that running is natural and that our feet are marvels of biological engineering that allow us to do this. This goes one stage further (I think) and suggests that running is an innate ability in humans and hence we learn to do it naturally. When we are kids we don't get the set squares and protractors out to be told how to run efficiently, we just do. 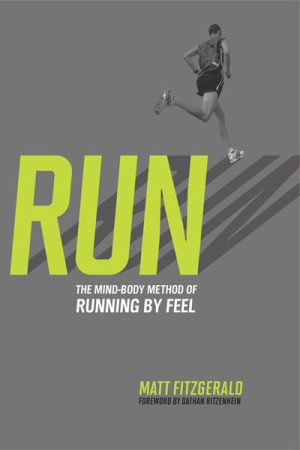 Running is a neuro-muscular exercise and the more of it you do the better you'll get. I get told quite a bit about "junk" miles but from my point of view if I like running and can use it to get from A to B then no miles are junk at all. High mileage is the biggest predictor of race performance. Running fast (sometimes) forces you to run efficiently as there is no other way. The shoes one is an interesting debate, the minimalist movement is gaining ground and now all major shoes manufacturers are offering a "minimal" trainer (at far from minimal price I have noticed). Great stuff about the finish line mentality and how records are broken. 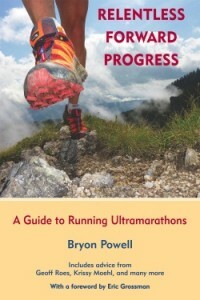 Anyway, a great read and quite refreshing that is does not prescribe to tell oyu exactly what you should do and how far you should run every day to achieve your race goals. There exist a few books that "have" to be read in the same way that some ultras "have" to be run. Feet in the Clouds by Richard Asquith is one such book, one of a handful of books that every runner seems to have read. I am ashamed of myself for taking so long to finally start reading it, similarly I am ashamed to say that my first visit to the lakes in Cumbria was just this weekend. I really enjoyed reading most of this. The early parts than deal with the authors early attempts at the Bob Graham Round I found myself chuckling through as it was very close to home. A boy from London trying to take on some of the spectacular hills of the Lake District by throwing gear and science at it. Sports drinks and fancy shoes and maps. It struck me like he had missed the point as to what it was do run on those fells, not that I really know. Reminded me of several discussions on my clubs forum in the winter that would start something like "I've noticed it's snowing outside. Obviously I can't just go and run in the snow but I have a spreadsheet to stick to so don't know what to do. Is there a piece of kit I can buy that will just make the snow go away?" The Bob Graham Round is a legendary fell run in the UK. It's not a race but a route of 42 fells that the eponymous B&B owner decided to run on his 42nd birthday. 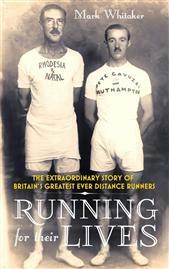 Since that running in 1932 a few thousand UK runners have made it their mission to complete it. Some do and some don't. The preparation and training is all consuming though. 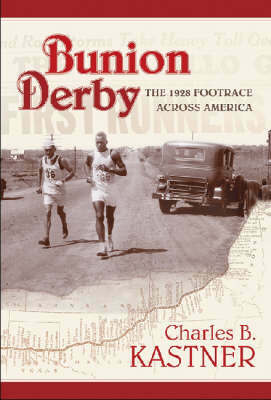 Most of the book is concerned with the fell running scene and profiles of some of it's most talented runners. I glazed over the politics and admin of the running clubs and organisations up north but loved the portraits of some of the fells heros. Joss Naylor and Billy Bland are legendary on the fells. There are so many others, some who came down from the hills to compete in road marathon racing, some of them doing very well indeed. You wonder how many olympic class athletes there were in the Lake District who just could not be bothered with running 26.2 on a road.